Posted on Saturday, June 11th, 2011 at 3:00 pm. 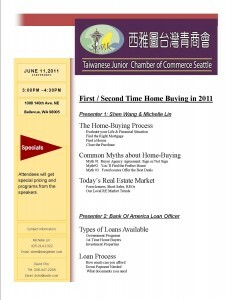 The Taiwanese Junior Chamber of Commerce recently launched a Seattle chapter last year and are hosting a professional series event for its members and the community. 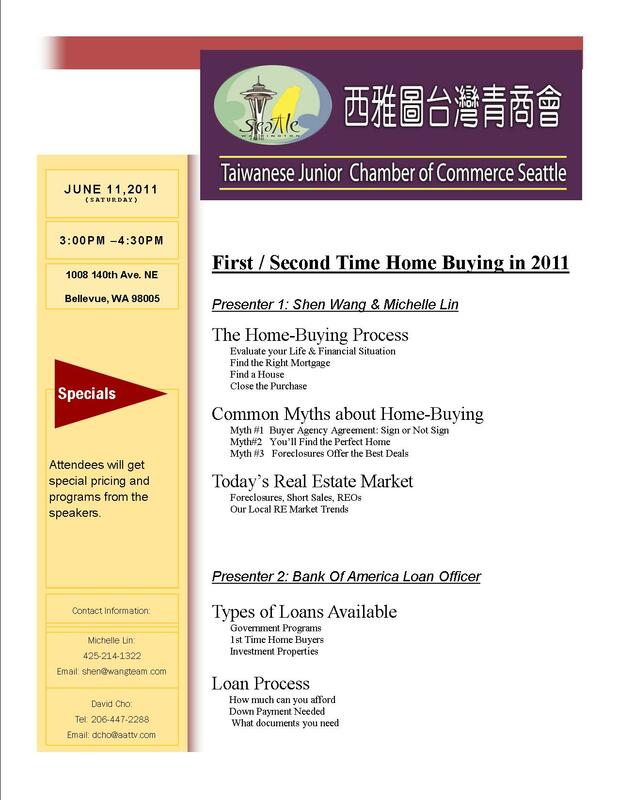 Some of their members will be sharing experiences and perspectives on home-buying. If you’re interested in learning more, come on out and join this educational event with fellow Taiwanese American young professionals. Click on the attached flier below for more details.